^ Hoffmann, Tobias (2009). Althoff, Gerd; Keller, Hagen; Meier, Christel, eds. "Diplomatie in der Krise. 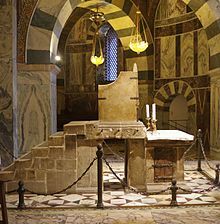 Liutprand von Cremona am Hofe Nikephoros II. Phokas". 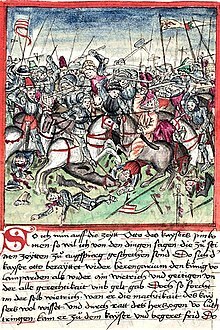 Frühmittelalterliche Studien (in German). Walter de Gruyter (published 2010). 43: 121. ISBN 978-3-11-020794-1. 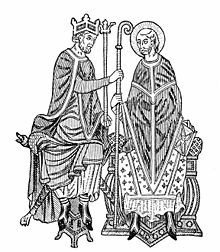 Arnulf of Milan (1072–1077). "Liber gestorum recentium" (PDF). In Zey, Claudia. Monumenta Germaniae Historica (MGH). Scriptores rerum Germanicarum in usum scholarum separatim editi. Vol. 67 (1994). Translated by W. North. Hahnsche Buchhandlung. ISBN 978-3-7752-5388-8. 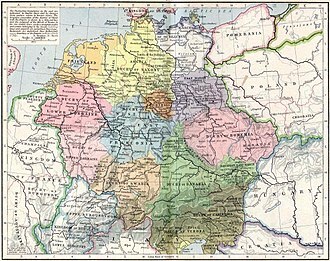 Thietmar of Merseburg (1012–1018). 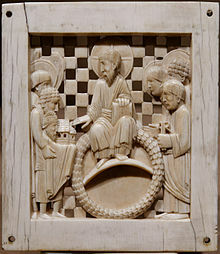 "Chronicon Thietmari Merseburgensis". In Warner, David A. Ottonian Germany. The Chronicon of Thietmar of Merseburg (2001). Translated by David A. Warner. Manchester University Press. ISBN 978-0-7190-4926-2. Schneidmüller, Bernd (2003). Schneidmüller, Bernd; Weinfurter, Stefan, eds. 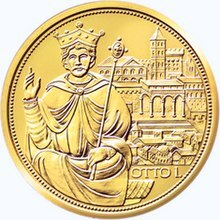 Otto I. Die deutschen Herrscher des Mittelalters. Historische Porträts von Heinrich I bis Maximilian I (919–1519). C.H. Beck. ISBN 978-3-406-50958-2. Henry I, a member of the German royal Ottonian dynasty, was Duke of Bavaria from 948 until his death. 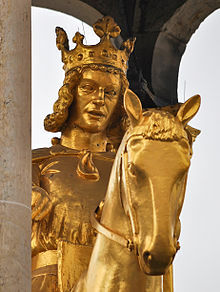 Conrad I, a member of the Salian dynasty, was Duke of Carinthia from 1004 until his death. The March of Istria was originally a Carolingian frontier march covering the Istrian peninsula and surrounding territory conquered by Charlemagne's son Pepin of Italy in 789. 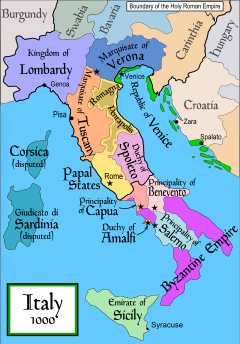 After 1364, it was the name of the Istrian province of the Habsburg Monarchy, the Austrian Empire and Austria-Hungary. 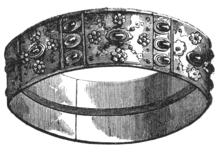 Liutgarde of Saxony, a member of the Ottonian dynasty, was Duchess consort of Lorraine from 947 until her death by her marriage with Duke Conrad the Red. She and Conrad became progenitors of the Salian dynasty. 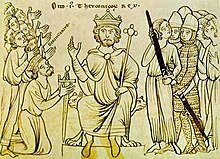 Henry III, called the Black or the Pious, was a member of the Salian Dynasty of Holy Roman Emperors. He was the eldest son of Conrad II of Germany and Gisela of Swabia. 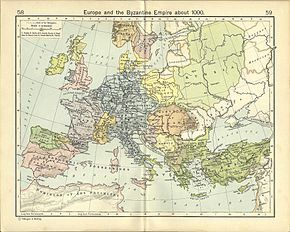 His father made him Duke of Bavaria in 1026, after the death of Duke Henry V.
The Hungarian invasions of Europe took place in the ninth and tenth centuries, the period of transition in the history of Europe in the Early Middle Ages, when the territory of the former Carolingian Empire was threatened by invasion from multiple hostile forces, the Magyars (Hungarians) from the east, the Viking expansion from the north and the Arabs from the south.